Disclosure: Lots of Great Pet Products for Your Fur Babies is a sponsored post. All opinions are my own. All posts may contain affiliate links. You all know how much I love my fur babies. Those of you who follow me on social media may have seen that at the end of June, our dog Toby died very unexpectedly. We were (and are still) devastated by his loss. If you’ve ever lost a pet, you know how hard it is. That loss just leaves a huge hole. My kids and I couldn’t not have a dog, so several days later we adopted Duke from the dog warden. As you can see, he’s not spoiled at all! 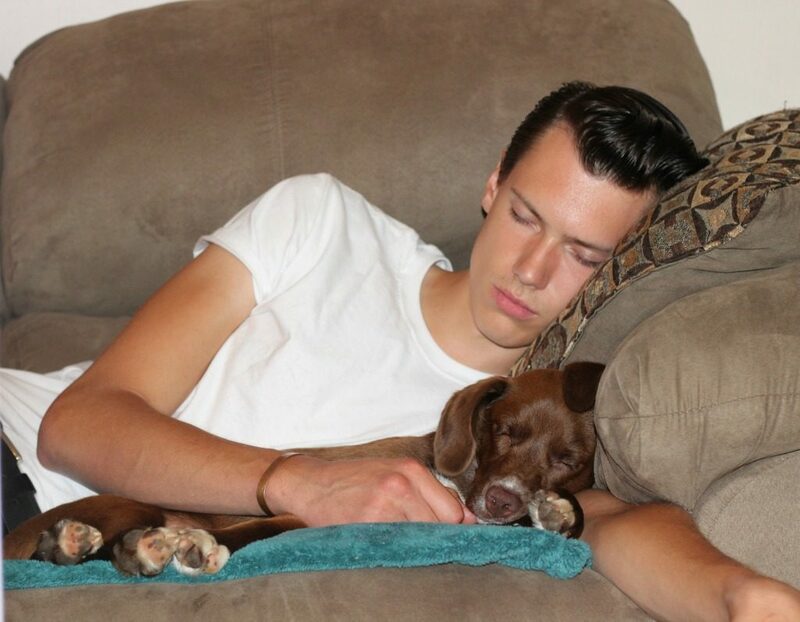 He’s fitting right into our family, and though he’ll never replace Toby, he gives us a puppy to love and cuddle. The dog warden says he is part Brittany Spaniel part Retriever. During a BlogPaws Chat, someone told me he looks like he’s part Nova Scotia Duck Tolling Retriever. I’d never heard of that breed, so of course Google came in handy! He does have the markings of one and his little bark sounds just like the ones on YouTube. Maybe he is! Whatever breed he is, he sure is cute. The dog warden, or anyplace where rescue dogs come into contact with each other, is notorious for kennel cough. When we adopted Duke he started showing signs of it a couple of days after we brought him home. Oddly enough, I was contacted right around that time by NHV to help share some summertime pet health tips. I saw that they offered a Kennel Cough Kit, so I was anxious to try this with Duke. Unfortunately it arrived a bit too late as Duke was already over his cough, but I love that I have it for any future colds he may have. Plus it comes with Stimmune for Dogs which is great for healthy immune activity. Walk with care: Limit exercise on hot days. Try to go for walks or have play time early in the morning or later in the evening when it is cooler and try to keep the exertion level lower. Instead of using the sidewalk, walk on the grass since it will be easier on their paws. Make sure to keep a bottle of water with you when you leave the house and one for your pet as well. During the summer, joints are prone to becoming more swollen than usual, which can sometimes be caused by water retention. Use NHV Turmeric twice daily to help reduce inflammation and pain. Hotspots: Hot weather, insect bites and sweat often makes pets scratch aggressively, leading to hotspots. Keep NHV All Clear Ointment handy. It soothes inflamed skin and reduces itching. It is all natural so there’s no fear of the pet licking it, though you might want to let the cream soak in properly before your pet starts biting the spot. Know the Signs of Heat Stroke: Excessive panting, reddish tongue, lethargy, vomiting, diarrhea are all signs of heat stroke. If you notice any of these, get your pet to a cool shaded area immediately. Soak a towel in lukewarm or moderately cool water and wrap your pet in it. And rush to your vet. Tick and Flea Battles: Furry pets are at risk of contracting tick-borne infections like Lyme disease. Comb for fleas daily and treat their bedding with citrus extract spray (steep lemon slices in water overnight and then use the lemon infused water as a spray). 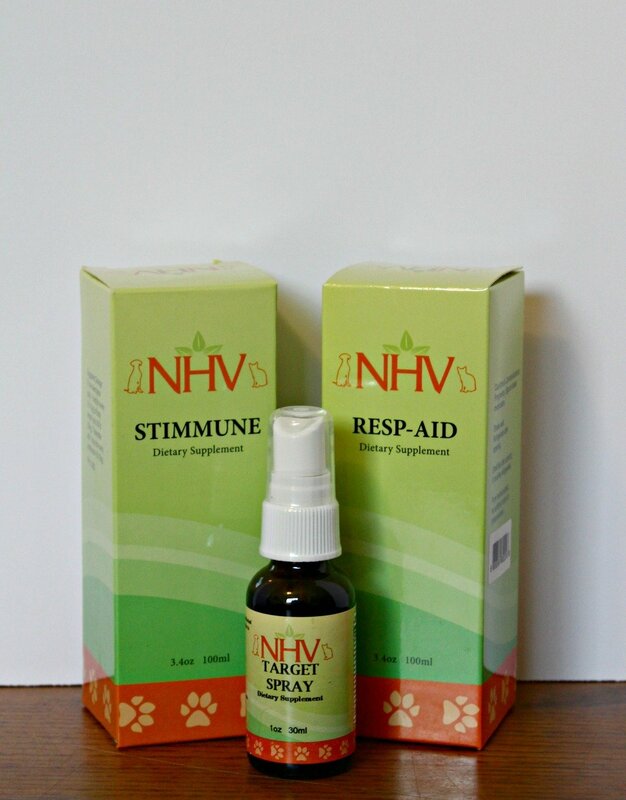 Use NHV Target Spray to help keep flea, lice, ticks and mosquitoes off of your pets – it is all-natural and works quickly. It’s a must-have summer tool. Hydrate Well: Ensure that your pets have access to water at all times. Try to keep water fresh and cool if possible (place dish in the shade or place ice cubes in the water). Remember to put out multiple bowls on really hot days. When traveling with your pet, always carry a compact portable pet water bowl. I’ve got three cats, but Indiana Jones (AKA Indy) is a camera hog, and he loves wet food much more than his brother Sammy Dean Winchester. Boo Boo, their new sister, loves wet food too, but she’s not as happy being on film as Indy is. 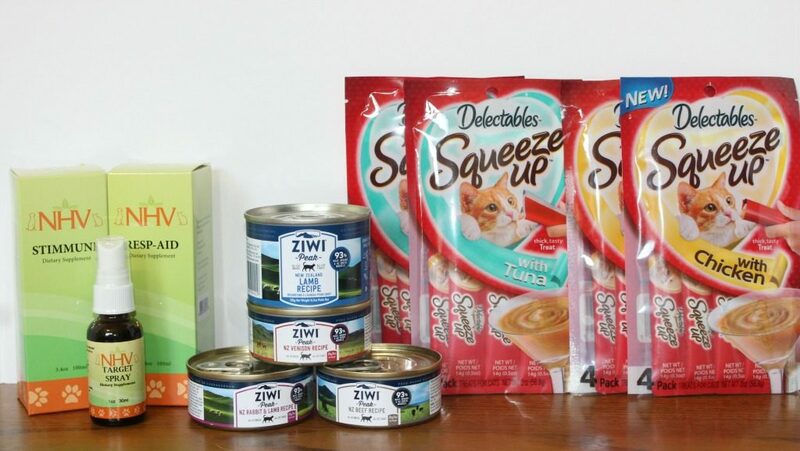 When I was contacted about Ziwi Pets food, I was really interested in it since we do have multiple cats. I figured if the indoor cats didn’t care for it, I could always give it to the three semi-ferals that eat at our house. Yes, three more cats! 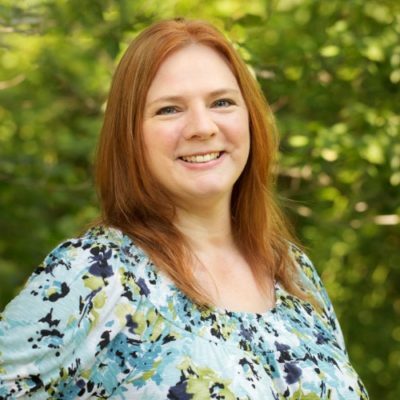 I’ve talked about them before…how they were abandoned by renters, so we started feeding them. We also got them TNR, so no more unwanted cats would be roaming around. Anyway, as you can see from the picture, Indy loves this food. This is the rabbit and lamb variety. As obligate carnivores, cats require diets rich in animal-based protein and low in carbohydrates. 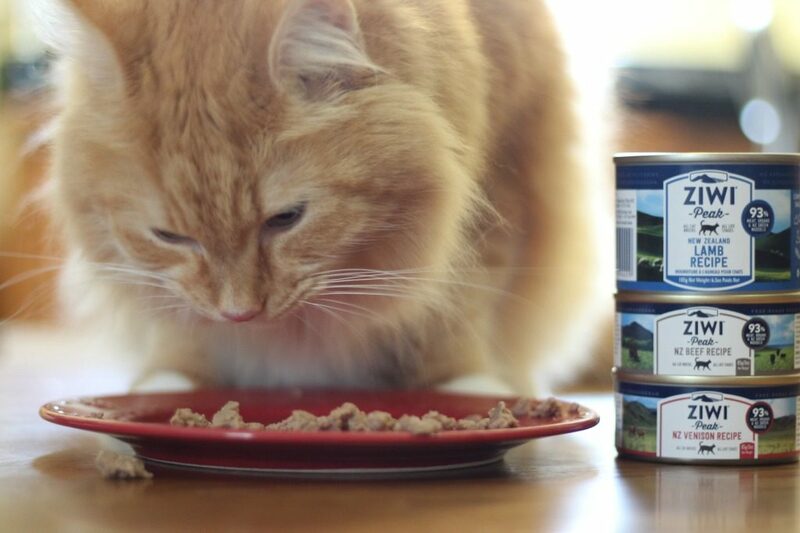 Ziwi Peak Cat Canned recipes are 93% meat, organs and bone, including 3% green mussel for natural glucosamine and chondroitin, and 7% species-specific tripe, for added palatability and digestive benefits. * Dry Matter Basis. I love Ziwi almost as much as Indy does because they are a family-owned New Zealand pet food company that sources all of their ingredients from New Zealand. They only work with 100% ethical and sustainable farmers where the animals roam free year-round and never use any growth promotants, added hormones, or antibiotics. You can find where Ziwi is sold on their site. You can buy Ziwi online if you don’t have a store close to you. Ziwi was also featured as one of the top 9 formulas that is safe and healthy for your cat. The team at Reviews.com researched 1,759 cat food formulas, spent months analyzing the cat food industry, and surveyed 97 veterinary professionals, as well as hundreds of devoted cat owners. Despite felines’ complicated dietary needs, they ultimately put together a guide that identified 9 formulas that contained high-quality, risk-free ingredients. Oh yes, new puppies can be very smelly. Duke has been very good about potty training, but there are still some nights when he has an accident. He also has separation anxiety. We try not to leave him often, but when we have to, we put him in the crate for his safety and for the safety of our furniture. Who knows what his life was like the first three months! Plus we know he was at the dog warden in a crate for at least 5 days since he came in with severe worms. They wanted to treat him and his brother for parvo just in case. Thankfully, neither of the puppies had it, but those extra days in a cage had to be scary! We adopted him the day he was available for adoption, but he had to stay an extra day to get neutered. Add all of those things together, and you get a dog who does not like being crated for even short amounts of time. We’re still working on it. 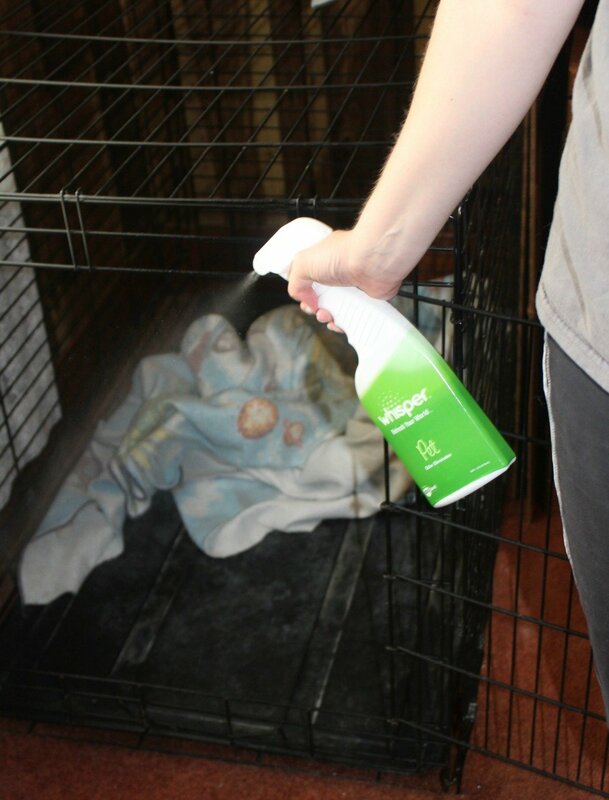 Whisper Pet Odor Eliminator Spray helps get rid of the smell left behind by Duke’s anxiety peeing issue. If he has an accident on the carpet, I also use these granules to absorb the pee from the carpet. For odors in the air and Duke’s crate, Whisper is perfect. It is also great to help with kitty litter smells though they have a litter spray too. This Odor Eliminator Spray is free from perfumes. It immediately transforms odor molecules, so you can get rid of your pet’s odor without adding perfume into the mix. Whisper Pet does not contain enzymes. Enzyme technology takes time to eliminate odor, so enzyme odor eliminator products use heavy perfumes. The perfume masks the smell of the odor allowing time for the enzyme to eat away at the source of the odor. You want to get rid of the smell immediately and permanently. Whisper Pet doesn’t use perfumes since it doesn’t have to mask the bad odors while it works. It simply gets rid of them! You can purchase Whisper products directly from their website. If you have pets, you’re going to want this! 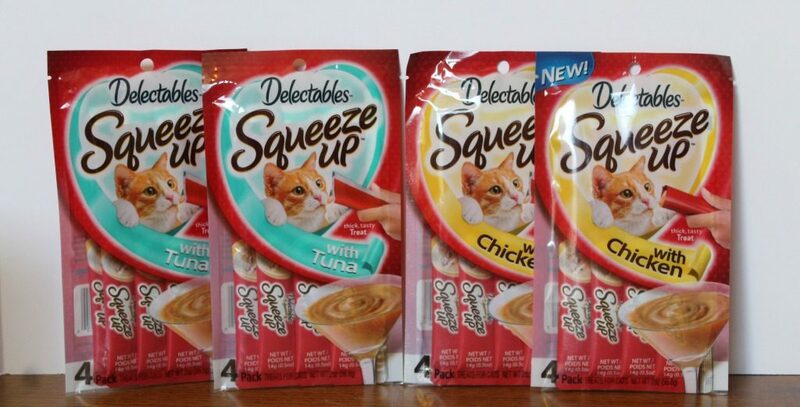 My cats are crazy for Delectables SqueezeUp Treats, and yours will be too! These treats make a perfect between meals treat for your kitties. They come in convenient, single-serve tubes that provide cats with a tempting treat made with real chicken or tuna and no by-products. Indiana and Boo Boo beg for them every morning! 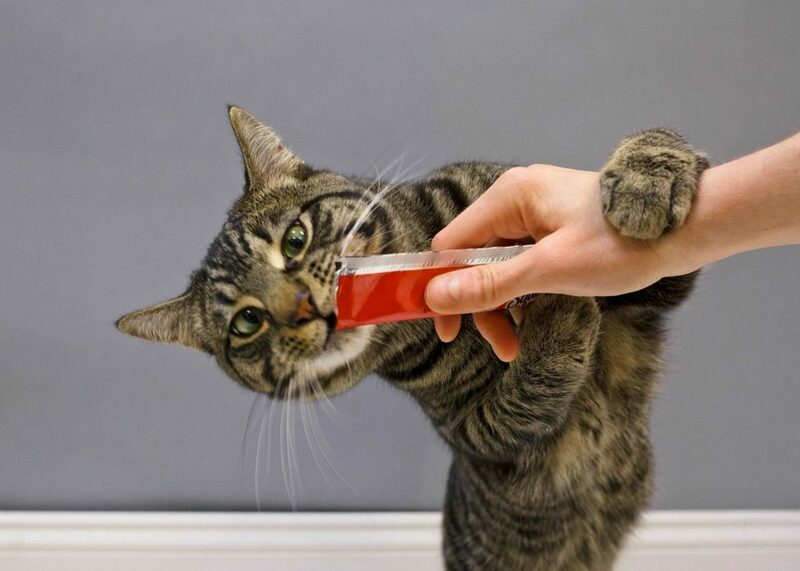 Cats nationwide are going “pawtastic” over Hartz Delectables SqueezeUp treats, the first interactive wet cat treats. The Hartz Mountain Corporation announces their “Pawtastic!” campaign featuring videos of “celebricats” including Venus the Two Face Cat, Coby the Cat, White Coffee Cat, Hello Luna Rose, Hobbicats, N2 Cat Crew and Roothekangaroo “going crazy” for SqueezeUps on the company’s social media channels in August 2017. Now through August 8th, on Hartz’s social media channels, you can enter their SqueezeUp Treats Sweepstakes! Check it out on Twitter and Facebook! How do you spoil your fur babies? Which product here do you think you need the most? I’d love to hear all about your pets! Sorry to hear about Toby 🙁 Happy to hear that Duke didn’t need the medication but that you have it if there’s a next time. 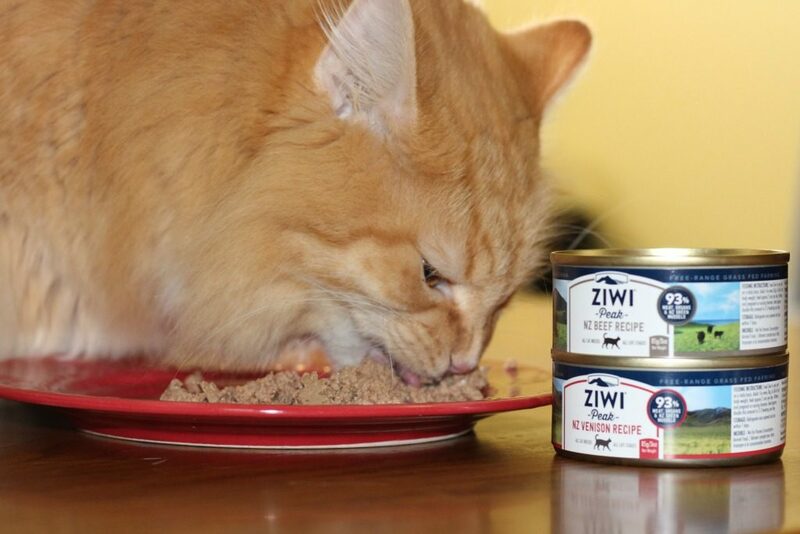 I used to feed my cat wet food (as a treat, which turned into every day) and I know that she and I would have loved Ziwi Pets: Natural New Zealand Pet Nutrition for the same reasons you did. Thank you! Duke is doing really well. I’m so sorry for your loss, but so glad that you found a new little fur-love to care for! These are great products for the furbabies. My cats love the Hartz Delectables.